Do you love long statement earrings? 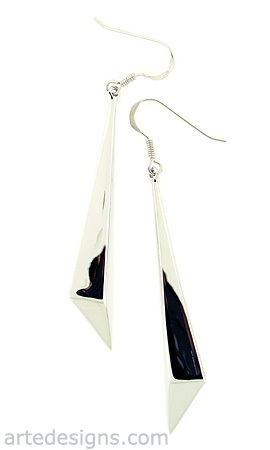 These modern geometric sterling silver earrings are edgy, eye-catching, and lightweight. Go ahead and turn some heads! Just under 3 inches long. Entire earring is sterling silver.